Dec 22, 2016 : We started in the evening around 4 pm from Brampton. Drove to Detroit and took I-75 south. Had a quick dinner in Windsor just prior to crossing into the US. Drove via Cincinnati to Lexington where the GPS decided to take us on the shorter route to I-95 – BIG MISTAKE, as this took us right through the mountains. I am sure the scenery would have been great but we were driving in the night so couldn’t enjoy it much… Lol. But we sure had a difficult drive, especially with the pouring rain and all the bends and lost a few hours. 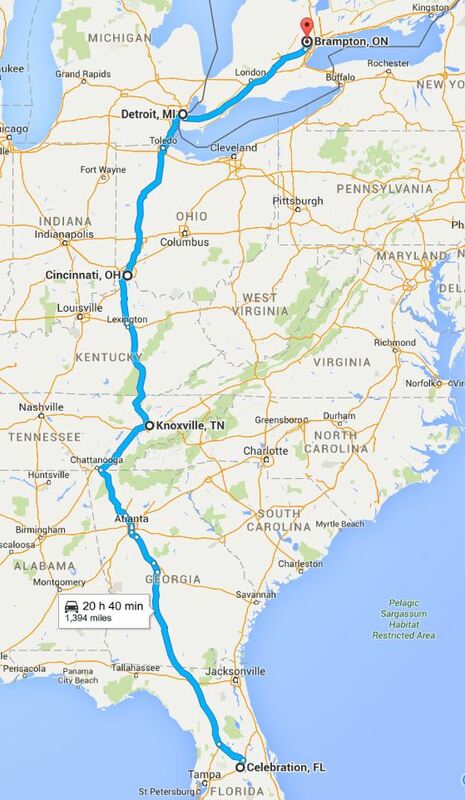 Best would have been to continue straight down on I-75. Reached I-95 early morning. stopped some place on the way for a late breakfast. 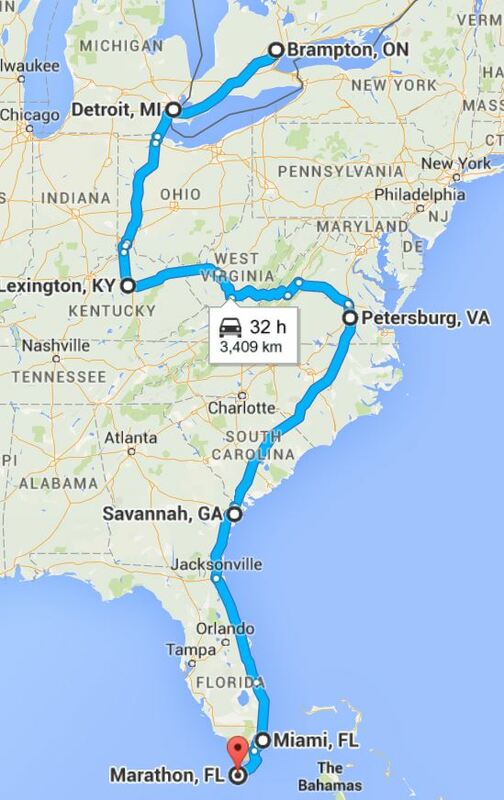 The drive was fine till Daytona beach where traffic started impeding our progress. Reached Miami around 8.30 pm and Marathon at 11.30 pm. Had dinner at the only open place at that time in Marathon – Mcdonald’s. Checked into Banana Bay Resort. Most places are very expensive during the holiday season starting Dec 22 – Jan 4. An average hotel was about CDN $ 350 a night going upto 700. 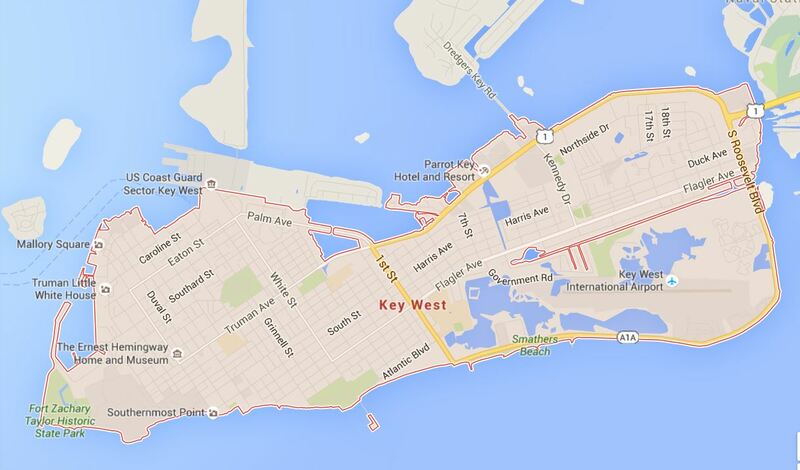 Suggestion : Even if you have to pay a little extra, stay in KEY WEST!!! not in other places such as Marathon or Islamorada. These places are good if you want to go scuba diving, fishing or sailing or if you arrive in a boat and are looking for a Marina to dock!! 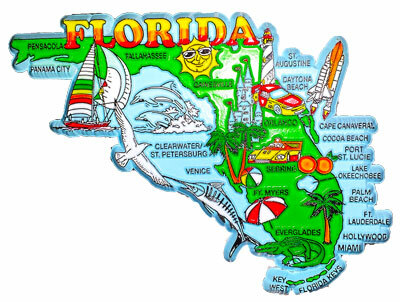 The hotel rates are not too different either, so if you want to have fun, stay in Key West. Walk on the touristy Duval st. – nice shops, restaurants, etc. ; Visit the marina or walk along side the ocean; Try the Conch Fritters, Key lime pie and frozen custard; great lighting at night; live music, patios, bars, cigar smoke in the air – great environment to have fun… even if you are carrying a smoothie or a coffee!! 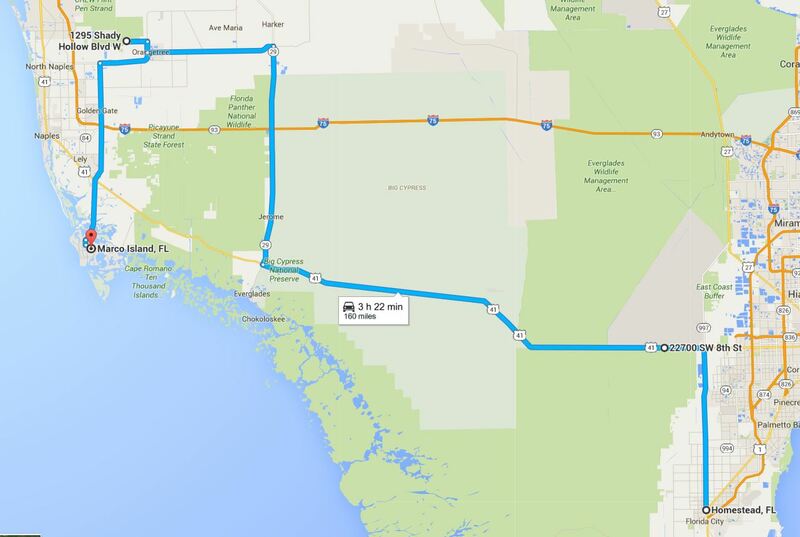 Stayed in Homestead (booked through Hotwire, budget about USD 150 – 200 per night for 1 room for 4 adults) and drove down to the Everglades park. Its a few Km to the entrance. Royal Palm is the departure point for two interpretive walks: the Anhinga Trail and the Gumbo Limbo Trail. These are short trails and would take about an hour and half. We could see wild alligators, turtles, vultures and man y other birds. Flamingo is at he end of the road and overlooks Florida bay. You can see Manatees and Crocodiles here. We were lucky to see 5 manatees but sadly no crocs! The walk on the boardwalk is great. Enjoyed a meal at the restaurant on the waterfront which has a great location but the food is essentially served out of a food truck. Long line ups on a busy day. Go for a pontoon boat ride or rent a canoe and explore the canals. The rentals stop at 3 pm and you have to return the boats by 5 pm. So start early. Take a mosquito repellant too. Next day checked out of the hotel and drove north for the Airboat ride with Coopertown airboats. this is a must do activity where you can either go ina big airboat with 25 passengers or take a private tour in a smaller air boat. Eitherway, its an exhilarating experience in the river of grass. we saw many alligators in the wild and a few birds. Back at their facility, they have large alligators, pythons and turtles. You can hold the baby alligators and also touch the pythons. MUST SEE : We continued towards Naples to Bird Rookery Swamp (1295 Shady Hollow Blvd W, Naples, FL 34120, United States), one of the best FREE places to walk in the swamp, see alligators (spotted at least 6 baby alligators close to the trail) in the wild and a lot of birds. We especially liked the pink and white birds. There are lots of herons, egrets and other small birds too. On the way to Rookery, we stopped at 2 look out places on the road side where we could see alligators and snakes in the wild. The Bird Rookery swamp is a 4-5 mile trek so be prepared with your trekking shoes and bug spray. We drove to Marco island but did not spend much time there. Had dinner at Michelbob, which claims to serve the best ribs in the US and at 6 pm or so, started driving towrds Bradenton beach, our next night halt. The drive is beautiful with beautiful marinas, beaches, sunsets and greenery. Silver Surf resort at Bradenton beach was right on the beach and exactly what we wanted. It has a private beach with the cleanest white sand and water in the world. 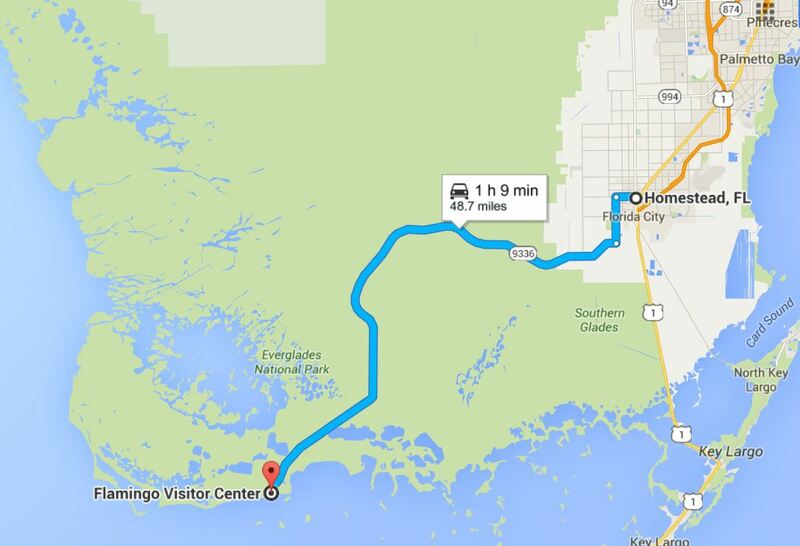 Bradenton Beach city is on Ana Maria island which is about 8 miles in length and maybe a mile or even less across. An awesome experience!!! Great place to just laze around, have good food, take a walk on the beach… and do some water sports if at all you feel like it. We had dinner in Saratsota, which is a bigger city. The drive along the water from Bradenton beach to Sarasota is very scenic but can be slow and jammed at times as its a 2 lane narrow road. But who is in a hurry in a place like this … Lol ! Sarasota has a bustling evening life with lots of restaurants to choose from. We tried a Thai restaurant and enjoyed the food very much. 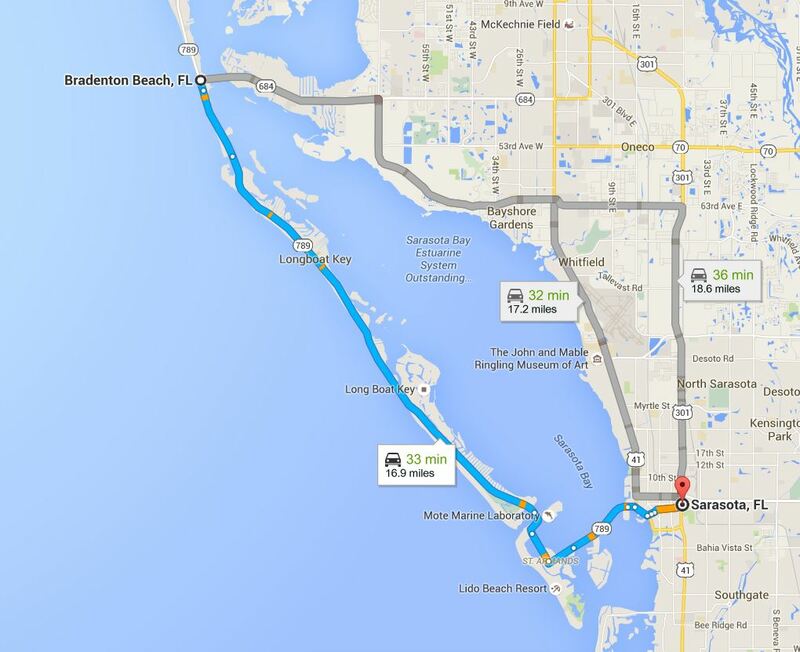 In the afternoon, we set out to explore the small Ana Maria island and then around 5 drove to Sarasota for dinner. Next day after breakfast, in the true spirit of holidaying, we made our first stop at the nearest Dairy Queen, picked up our super sized Blizzards and started driving towards Tampa in search of our next adventure – The Escape room! Since Tampa was on our way from Bradenton Beach to Orlando, we booked the Escape room adventure through Groupon. It took us 2 hours to reach Tampa and just in time for our game appointment. We had another family with us and 60 minutes to find the clues to escape the office room we were trapped in. We thoroughly enjoyed the activity and could not stop talking about it for the next few days! We had successfully escaped with 10 minutes to spare. In 2 hours we reached Celebration and checked into our hotel. The baymont was a decent place with good big rooms, big lounge, good swimming pool and a good breakfast! It was also close to Disney resorts and about 20 min from Seaworld. That evening we went had some authentic Thai cuisine and walked around in the touristy area of Florida mall. We retired early as the next day was the big day for us – a day at Sea world and being the New Years Eve, also a very long day!